Sophie Watson Gardens is a triangular area of grass and trees between Steyne Road and Old Seaview Lane on the road from Nettlestone - no children's playground or swings, no concrete paths, just grass, trees and seats. In the 1950's/60's, about half the current area (furthest from the junction and fronting just Old Seaview Lane) was used as allotments; quite possibly, these may have been the results of the 'Dig for Britain' effort in WWII. 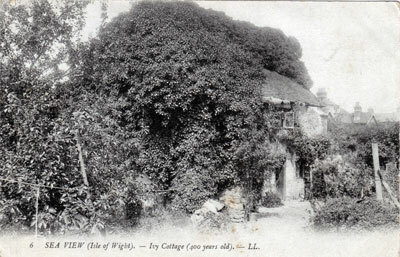 Also in this area, until the late 1920's, stood Ivy Cottage, one of the oldest dwellings in Seaview - Robert Tanner and his wife Agnes, were the last occupants. 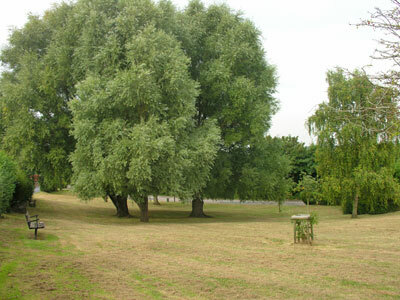 The land was donated to the community by Sydney Watson (one of the 'Watson Brothers') in memory of Sophia, his wife, who died in August 1935.